Hi there, my darlings! I've been saving this particular post for months...and with the big holiday parties, like NYE, New Year's Day etc, just around the corner, there's no better time than right NOW! Are you planning a special look to bid 2014 goodbye? Do you want to look especially gorgeous for a special someone? Are you going to party the night away and want to make sure every head turns when you walk by? If you answered yes to any of these questions, I've got just the thing for you! 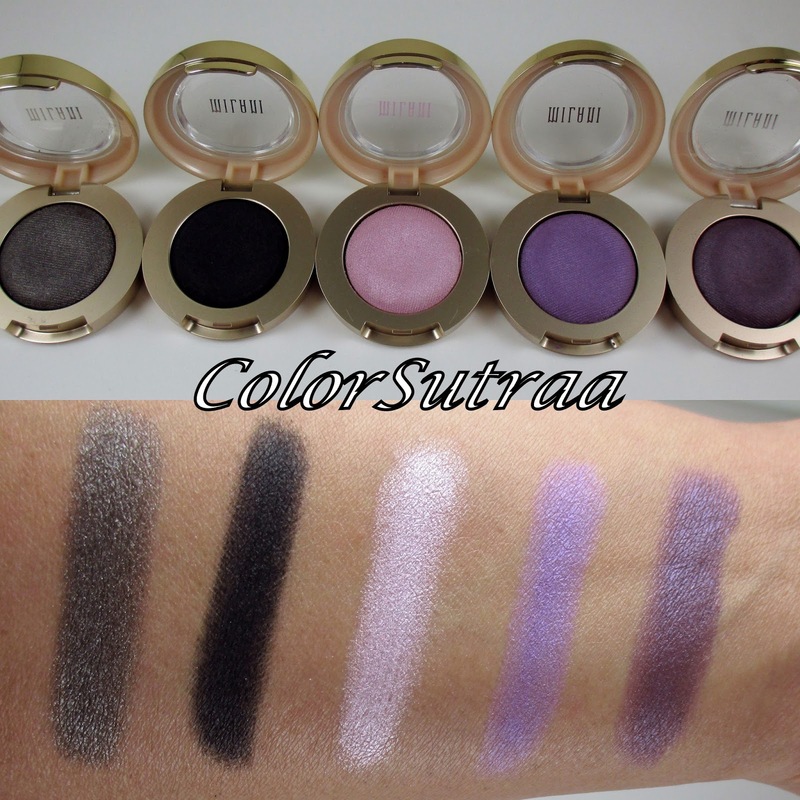 I'd like to introduce you to the utterly gorgeous Milani Cosmetics' Bella Eyes Gel Powder Eyeshadow collection! Now let's get to swatches--I have SO many favorites in this collection! Though the first four shades are a bit too light to really pop on my complexion, the last, Bella Taupe is an immediate favorite for a smokey eye! 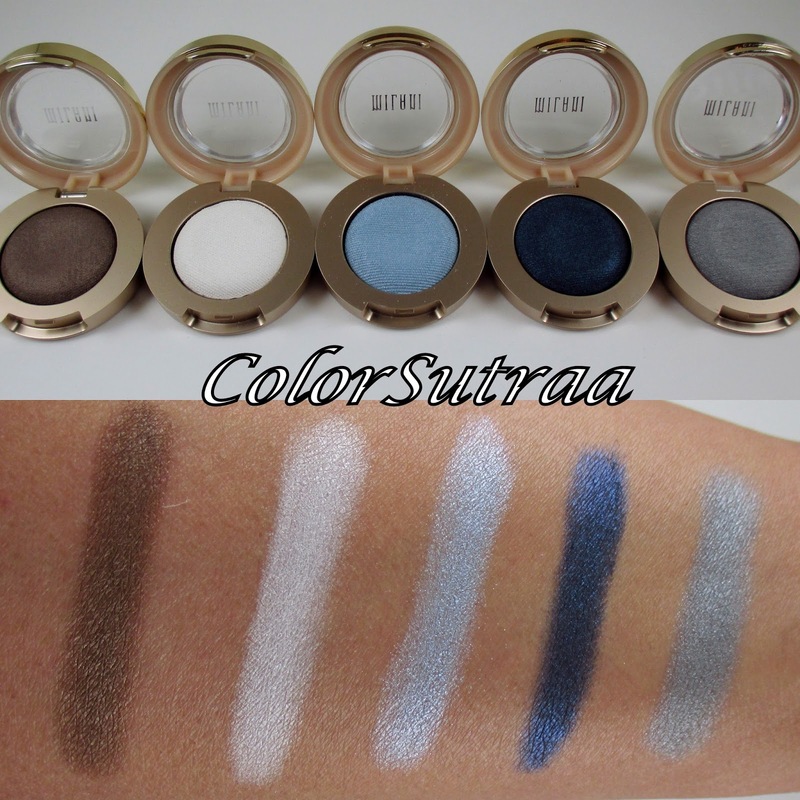 These shades, all five, are ones that should be staples in any eyeshadow lovers' stash and I particularly love Bella Navy--a gorgeous vibrant navy blue! I had hoped that Bella Black would blend easily but it is a bit of a challenge. That being said, it's incredibly pigmented and I would even use this to line my eyes. Of these five, Bella Charcoal and Purple were immediate winners for me! Bella Khaki cracked, unfortunately, before I managed to get it photographed but of this batch, Bella Emerald was a surprising favorite! I don't usually do greens but this green is GORGEOUS! I love all five of these shades! ALL five! They are bold and vibrant--just what attracts me to eyeshadows! The bolder, the better! Now of these last five shades, I must admit none of them really spoke to me, though I do want to see what I can do with Bella Mandarin--such an unusual shade! IMPRESSIONS : Across the board, I was really pleasantly surprised by the texture of these shadows--so velvety smooth! No flaking, no chalky mess despite being powders--there is a little fall out but nothing that a little remover can't fix. 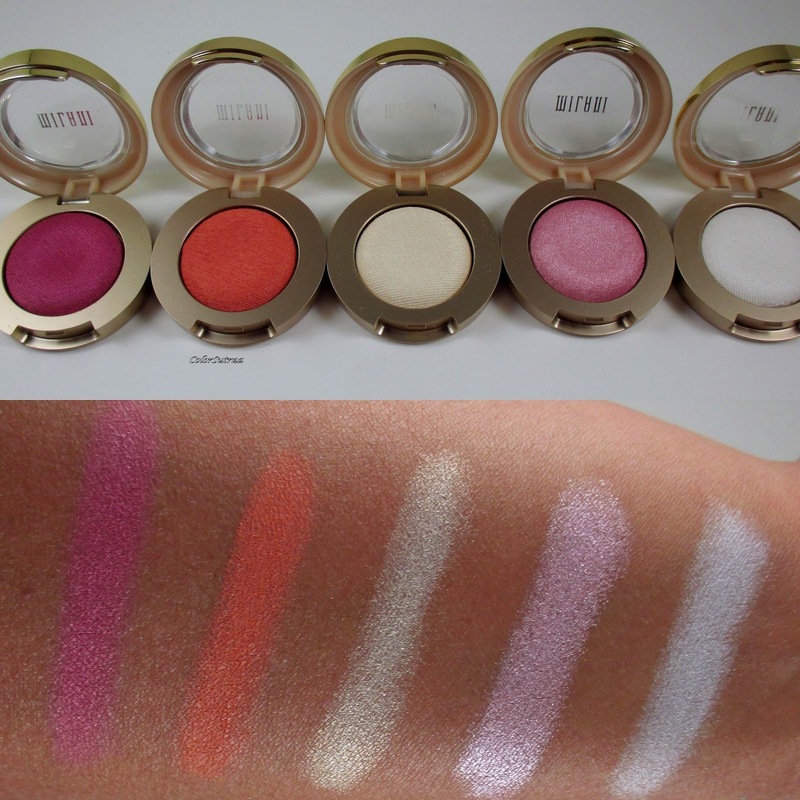 Great color pay-off on most of the shades--a little goes a long way with these pigmented beauties! All in all, a fabulous ranges of color at a very affordable price! So there you have it, my darlings! 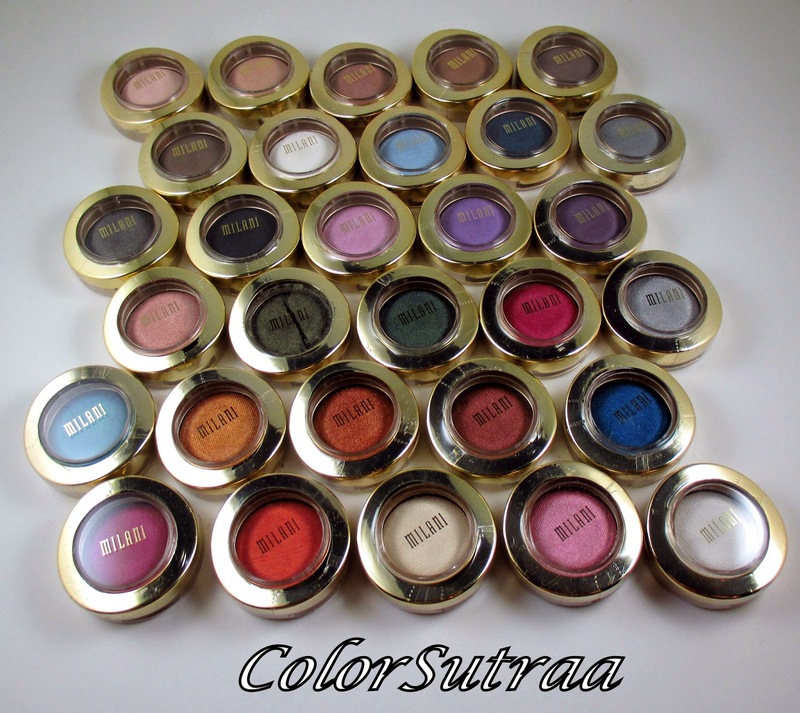 The Milani Bella Gel Powder Eyshadows collection! 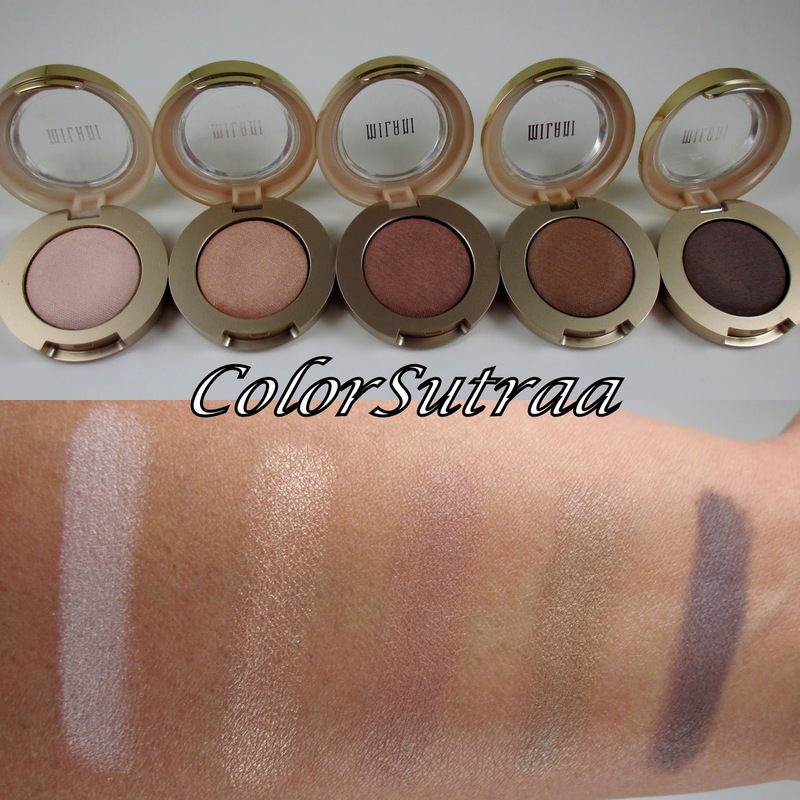 You ca find all the shades on Milani Cosmetic's online site HERE for the fab price of $4.49 for each! You can also look for them at select drugstore/retailers such as CVS, Walgreens and Duane Reade. Please remember to follow Milani Cosmetics on FACEBOOK and INSTAGRAM for all the latest news and updates! Which of these caught your eye? I'd love to hear from you in the comments section below! 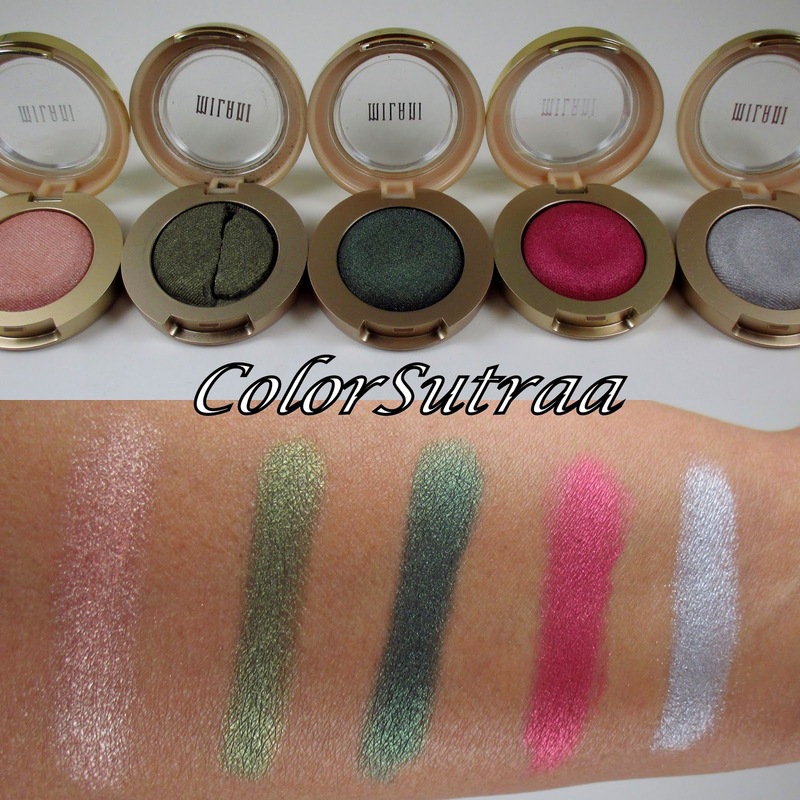 IG name: _tgbeauty_ Great review on these shadows! I only own one of them so far and it's the light brown one. I thought it would make a great transition shade but you can't even see it when I apply it. 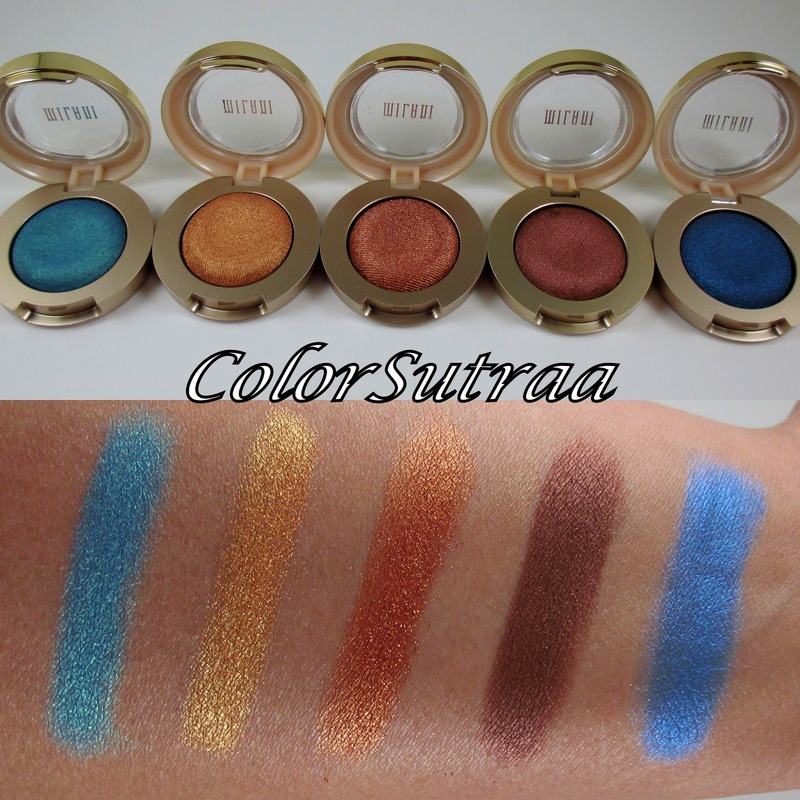 I'm sure the bolder colors have better pigmentation though since all of the reviews I've seen have been really good. Just wanted to let you know that I love how your blog looks! It's very nice! I'd love to start a blog one day. I can talk makeup and beauty all day, everyday! LOL Thanks!